In yesterday’s Weekly Brieifing, I reported on a previously undisclosed memo in which a corporate lobbyist indicated that she had been involved in secret negotiations with the N.C. House Speaker Thom Tillis over a plan to ram through a bill to alter state unemployment insurance laws during next week’s scheduled “special” session of the General Assembly. North Carolina’s system of legislative checks and balances is not designed to work in a legislative session of a few hours over the course of a day or two. Rather, the legislative proces is designed to work slowly and deliberately. Bills are supposed to process through multiple committee meetings and multiple “readings” on the floor of both houses for a reason — so that proposals can receive a full public airing and “the people” can keep tabs on what’s happening (and maybe even have their say). That’s why legislative sessions are normally scheduled for many weeks or months: so that proposed law changes can sit and marinate for a while under the light of public scrutiny. Special sessions that allow legislators to, in effect, bypass such process are supposed to be called by state leaders in extraordinary circumstances — i.e. when there are crises that simply can’t wait. As things stand now, however, the GOP legislative leadership is simply calling “special” sessions on a regular — almost monthly — basis to vote on whatever they can scare up the votes to pass. Lawmakers are being called to Raleigh and forced to vote on momentous issues — sometimes multiple times in just a few hours. This makes a mockery of the legislative process and the state constitution. 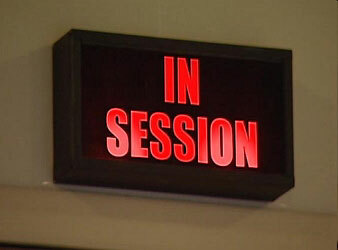 So, the bottom line: While better than the current secretive scam legislative leaders are running, a system of 48 or 72 hours notice regarding the subjects that will be discussed during special sessions still falls far short of what we need. Absent a genuine and thoroughly explained crisis on which there is widespread agreement ahead of time (e.g. a natural disaster or a public health emergency), we simply should not be having “special” sessions of the kind the legislative leadership has been holding to begin with. If Speaker Tillis and Senate President Pro Tem Berger have any interest in doing the right thing, they should cancel the special legislative session scheduled for next Thursday immediately. And, by the way, Democrats were guilty of this too in the past with the special sessions they convened to pass corporate incentives packages. Again, however, Republican leaders have taken this bad practice to a new level. Wishful thinking … I guess it’s better than going postal.